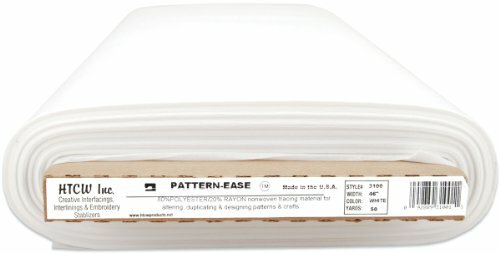 HTCW-Pattern Ease Tracing Material is a non-woven tracing material ideal for altering duplicating and designing patterns and crafts. 80-percent Polyester 20-percent Cellulose. Measures: 46 x 50yds.